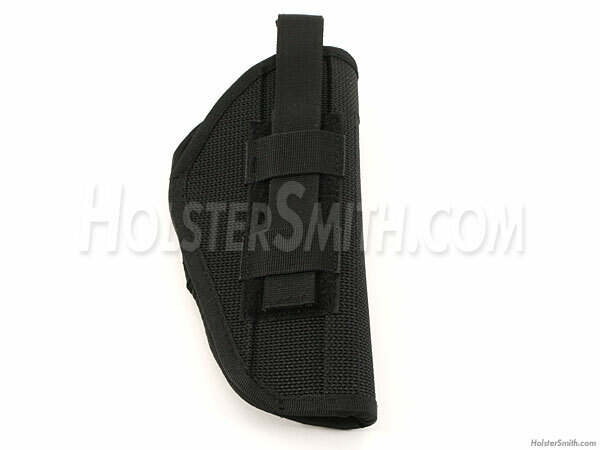 Even though the price is super low, this nylon canvas hip holster is anything but cheap. 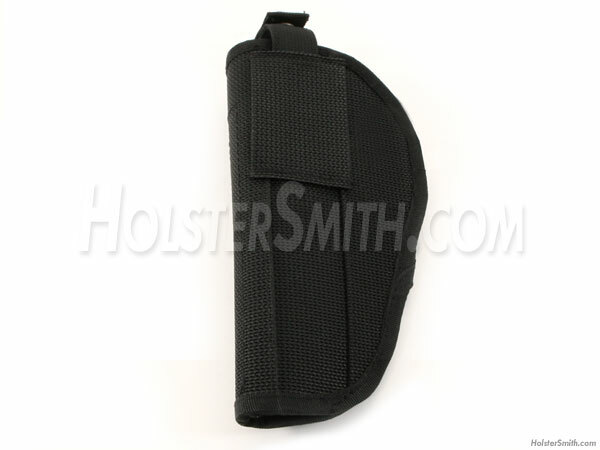 Designed to fit small 4"-5" inch automatic pistols, this holster features a hook-and-loop adjustable front snap with double sewn smooth nylon liner and reinforced trim edges. With built-in liner, draw is quiet and smooth, and offers excellent protection for your side arm's finish. This design fits Beretta 92, Colt, Glock and many other similar sized autos.